What’s common between the viral fever of my toddler son, fasting during the holy month of Ramadan, working-out at gym and start-up companies? Porcelain cup can be only in two states – in its present cup form or break into pieces if stress / shock is induced. It can only get worse from its current state. Such things are called ‘Fragile’. They should be handled with care and they dislike stress, volatility, chaos, disorder, shock, etc. Stone is a good example of Robust / Resilient. It will generally be in its present state and is resistant or typically indifferent to stress, volatility, chaos, disorder, shock, etc. Robust is not the opposite of Fragile. The opposite of Fragile should be something that gets ‘better’ with stress, volatility, chaos, disorder, shock, etc. There was no word to describe such a concept and Taleb coined his own word and called it ‘Antifragile’. We see a lot of things around us that are Antifragile. Things that like stressors and volatility. Let us examine some of them here and see how this concept can be helpful. My son had been sick and suffered viral infection eight times over the past six months and when we go to the Doctor or talk to other parents, all we hear is “he is strengthening his immune system and as he grows up he’ll be less sick”. Our immune system needs exposure to variety of virus and bacteria (both harmful and useful) to grow stronger and keep our bodies healthy. I guess, babies putting everything in their mouth and actively exposing themselves to germs around them is mother nature’s Antifragile design to help human babies build / strengthen their immune system. Vaccination is another Antifragile approach of injecting low doses of the same germs that cause the disease to help body develop antibodies and strengthen our immune system. Our bones and muscles are also Antifragile. They get stronger when subjected to the stresses of running and lifting weights. Physical stress is a signal to the body to prepare for a similar or a bit higher exposure the next time and as the intensity of the work-out / physical stress increases, so does the strength of our muscles and bones. Our muscles and bones love stressors and they wither when such stressors are absent or they go unused. As my running coach says, “if you do not feel the pain after the workout, then you are not doing something right”. He always says “embrace pain”. In the context of Yoga, Niyama and Asana are the examples of Antifragile activities. Fasting is an age-old practice observed in many religions and anything that has survived for millenniums has definitely proved its merit over time. Fasting is found to be Antifragile in nature. Taleb writes – diabetes and many similar modern ailments seem to be associated with a lack of randomness in feeding and the absence of the stressor of occasional starvation. 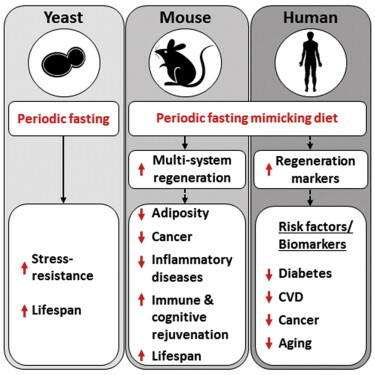 In a recent research by University of Southern California, the researchers noted short period of intermittent fasting can slow the aging process, improve cognitive ability, reduce the incidence of cancer, diabetes, heart disease, inflammatory disease and bone loss. Fasting is not for everybody and if you have the mental strength and willingness to challenge yourself watch this hour-long BBC documentary that explains the latest scientific experiments and findings on Fasting. This may change your lifestyle forever. Stress has gotten a bad rap over time; while long-term stress can have adverse effects, short bouts of it can make you mentally stronger and better. Think about C-Level corporate executives and politicians holding public offices. Over the span of their careers, they would have exposed themselves to varying levels of stress and once they become adept at handling such stress, they raise to the top echelon and stay successful. People who suppress stress in their relationships may create a false sense of stability in the short-term but as the stress gets accumulated over time, they are more likely to break apart. Periodic small fights and disagreements are found to be very healthy and helps strengthen the relationships. Listen to this ~15 minutes TED talk that might change your attitude towards stress for good. No Pain, No Gain – My running coach says, “if you do not feel the pain, you are not doing something right”. Stress induced physical pain is necessary for developing health / strength. There is always happiness and joy on the other side of pain – Training for marathon or hiking difficult terrains is a painful activity. But the rewards on the other side of pain is worth all the efforts. Resist urge to suppress stress – Treat stress as a friend. Success almost always comes with stress. Failure is key to success. 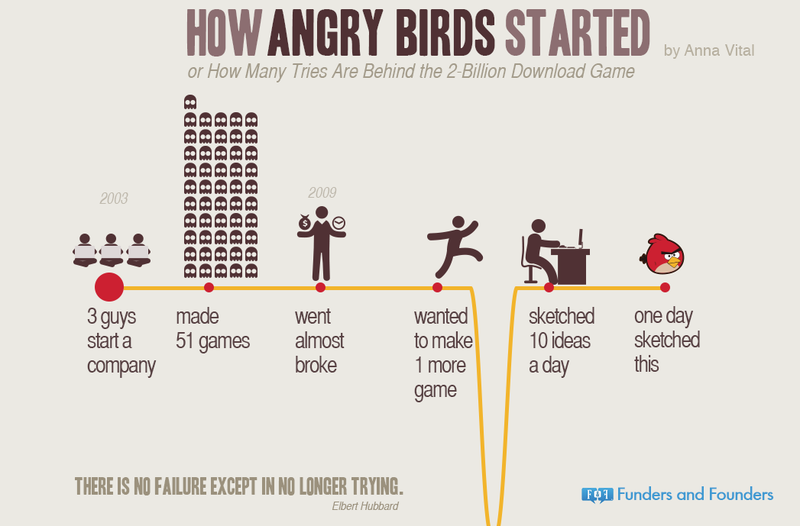 Fail early fail fast – Be wary of companies that have always succeeded. Invest in people and companies that have proven records of learning and growing through failures. Welcome and encourage new mistakes but make sure not to repeat the same mistake twice – With every airplane crash, the safety of air travel increases. While building processes, always make sure to induce stressors, encourage reporting of issues and reward fixing of identified issues. Respect the old; they have stronger proof than anything new – Find meaning in age-old practices and one can find them in festivals, rituals, religious practices and books that are at least 100 years old and which are in popular print to-date. Moderation is the key. Chronic exposure to stress without rest and recovery only creates catastrophic damage. Friedrich Nietzsche was right when he said – “That which does not kill us makes us stronger”. ← You Cannot Do Yoga… Yoga Happens.